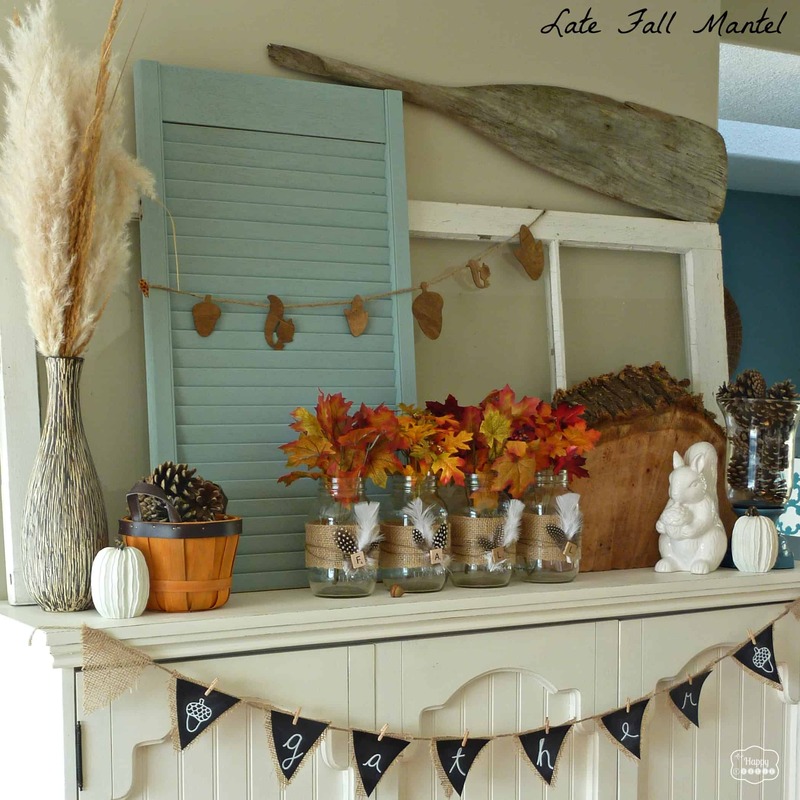 When it comes to indoor fall décor, we have a few places in the house that we love decorating the most. 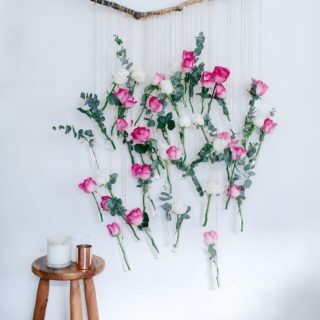 Now, don’t get us wrong; we’ll happily decorate literally any part of our home in DIY pieces if we have the time, which our families will happily attest to! 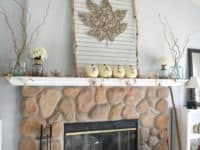 The mantel above our fireplace, however, might be our very favourite place to add a little bit of seasonal flare to the room. 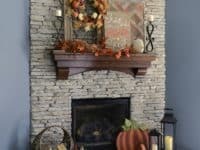 We’ve been decorating our mantel every Thanksgiving for many years now, however, so when autumn arrived this year, we were suddenly worried that we were repeating décor schemes and ideas too much. 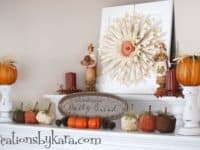 Just in case you’re also a huge seasonal DIY décor enthusiast and you could also use some inspiration, here are 15 of the most wonderful homemade fall mantel setups and inspirations we came across in our search! 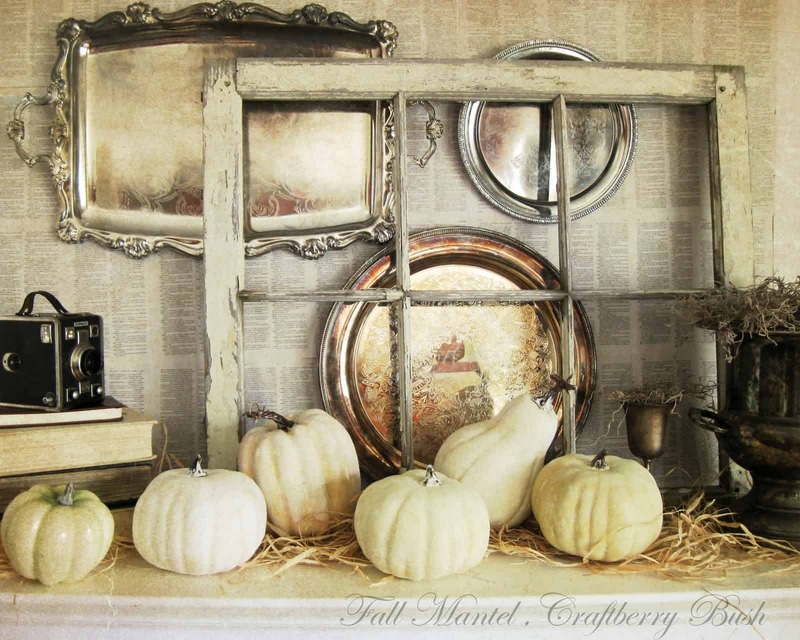 In our opinion, miniature pumpkins are one of the very best parts of fall décor. 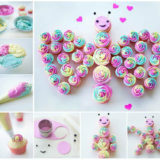 They’re just so adorable that we could make them until our house is overflowing! 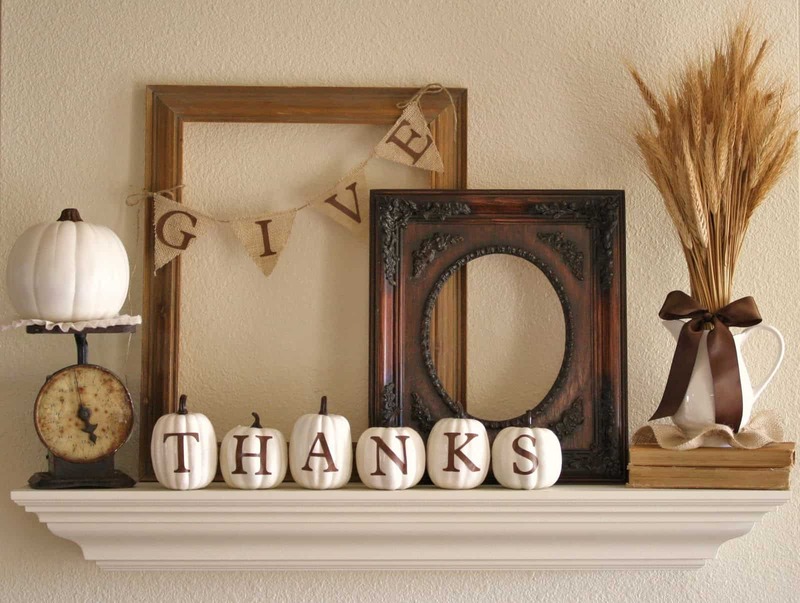 That’s the first reason hat this cute mantel setup from Deco Bizz caught our eye. 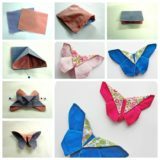 The second part, however, was the beautiful rolled paper canvas that acts as a centrepiece here. 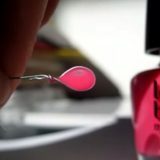 Check out how both of those things were made in their tutorial! In the spring, we always put pretty bouquets of colourful wildflowers out as soon as the snow clears and the sun comes out. 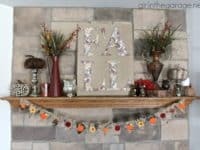 Just because there aren’t very many flowers blooming in the fall, however, doesn’t mean you can’t put out a cute bouquet when you build your autumn mantel display! We love the way Craft-O-Maniac upcycled cleaned out mason jars with some cute feathers, some burlap, and some spare Scrabble pieces to spell out “fall”, willing them with bundles of fall leaves instead of bouquets of flowers. 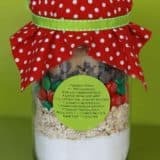 Wreath making is a great plan any time of year because there are so many different styles, kinds, and themes of wreath you can make that the options are pretty much unlimited. We especially enjoy making them in the fall, however, specifically because we love splayed leaf wreaths just like this one from Kirklands! 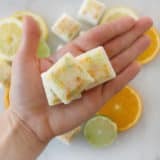 These are surprisingly simple to make for how impressive they look when you’re all finished. Are you fortunate enough to have access to a beautiful supply of fall flowers in all kinds of deep autumn colours? If not, do you perhaps live near a place that sells faux flowers in a range of colours that would work? 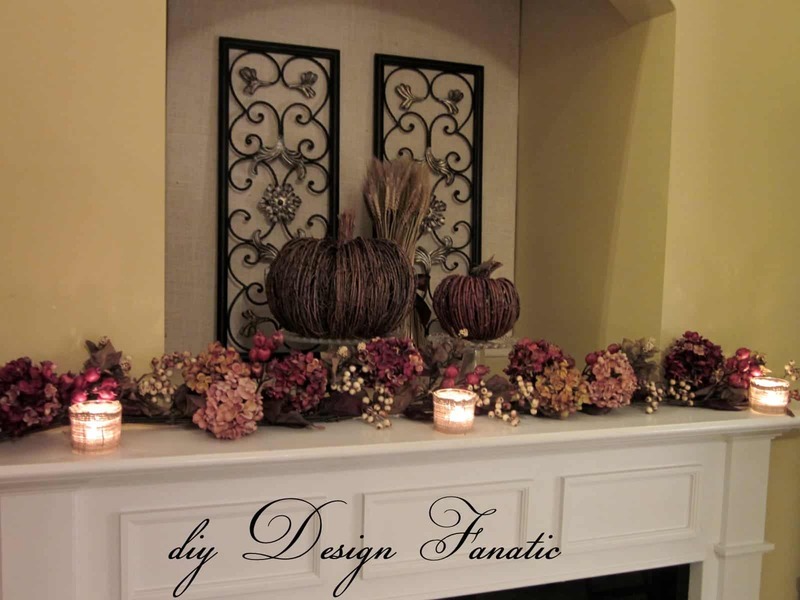 Then we have a feeling you’ve got what you need to make a beautiful flowers cluster mantel just like this one from DIY Design Fanatic! The concept is simple but the overall effect when you’re finished is very impactful. 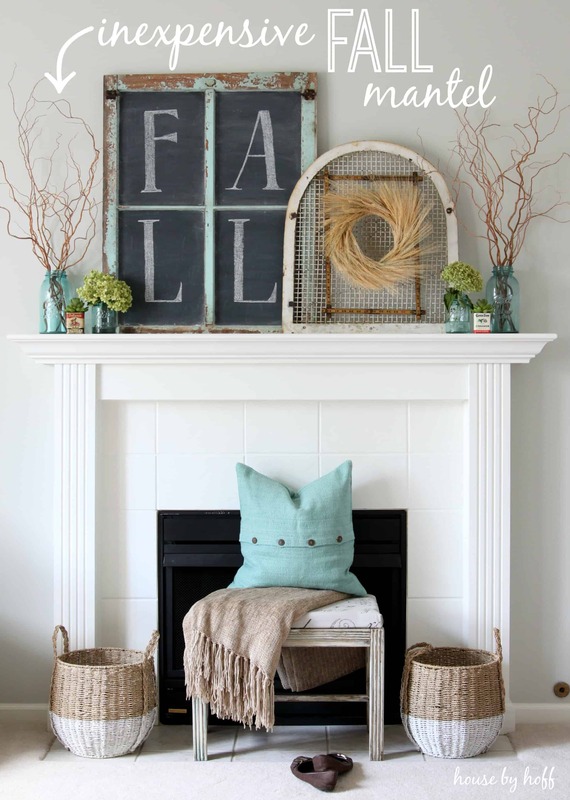 Were you a huge fan of the mini pumpkins idea we showed you earlier but you also liked the fall letters idea that you saw on the mason jars above, and now you’re having trouble choosing a style to stick with? Well, who said you have to choose in the first place? 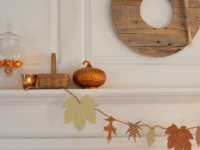 We love this mantel setup from Mantel Craft because it’s simple but totally adorable and hits the autumn nail on the seasonal head! 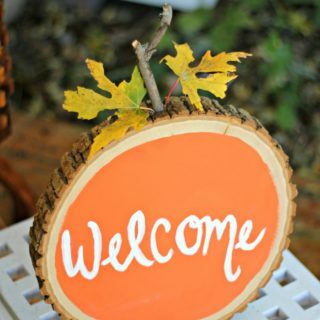 They show you how to paint mini pumpkins with a white background, stencil deep brown letters on, and make a cute little set of burlap bunting flags with a set of accompanying letters! 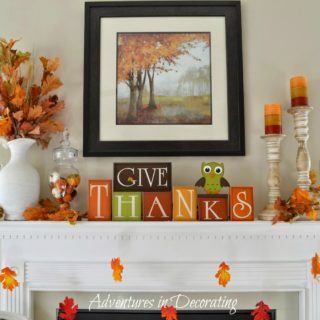 We love that they spelled “Give Thanks” between the two elements so they tie together aesthetically! 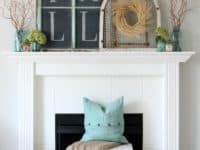 Do you love the idea of making a bunting or garland to hang across your mantel but you’d rather skip the letters because you have a lot of décor already and you’re worried it’ll look too busy? 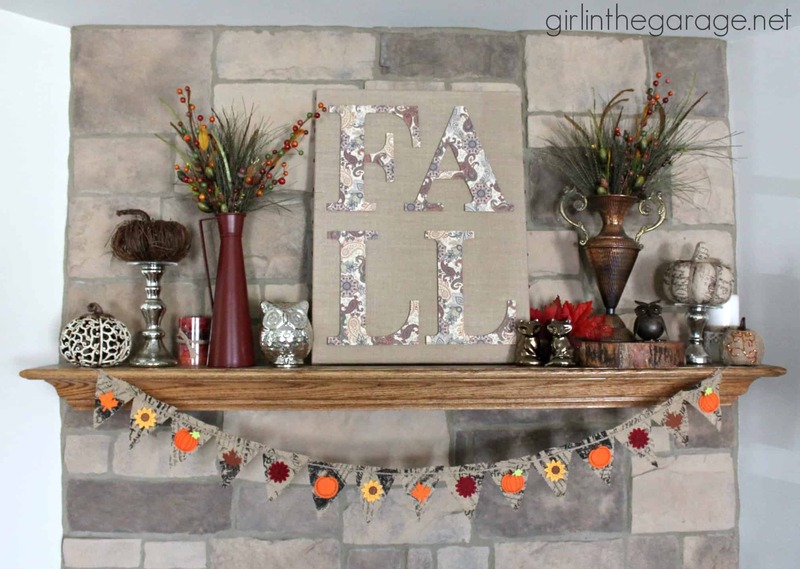 In that case, we think you might prefer this simple but totally adorable leaf bunting idea from Lehman Lane! They show you how to make leaf cut outs from all different fall shades of decorative scrapbooking paper. Have you taken care to build your home a beautifully rustic décor over the years and, whenever you add a new décor element or display, you love to try and match that theme? 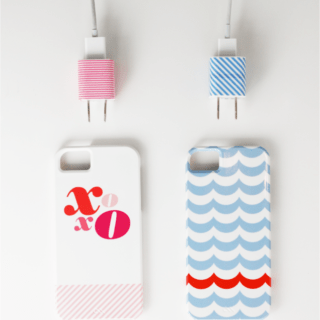 Then we have a strong feeling that we’ve finally found the DIY display idea for you! 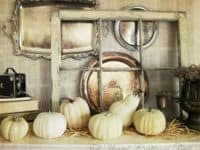 Check out how Craftberry Bush combined small fall pumpkins and gourds with weathered wooden window frames, vintage cameras, and stylishly worn farm wares to create a vintage inspired mantel that’s perfect for fall. 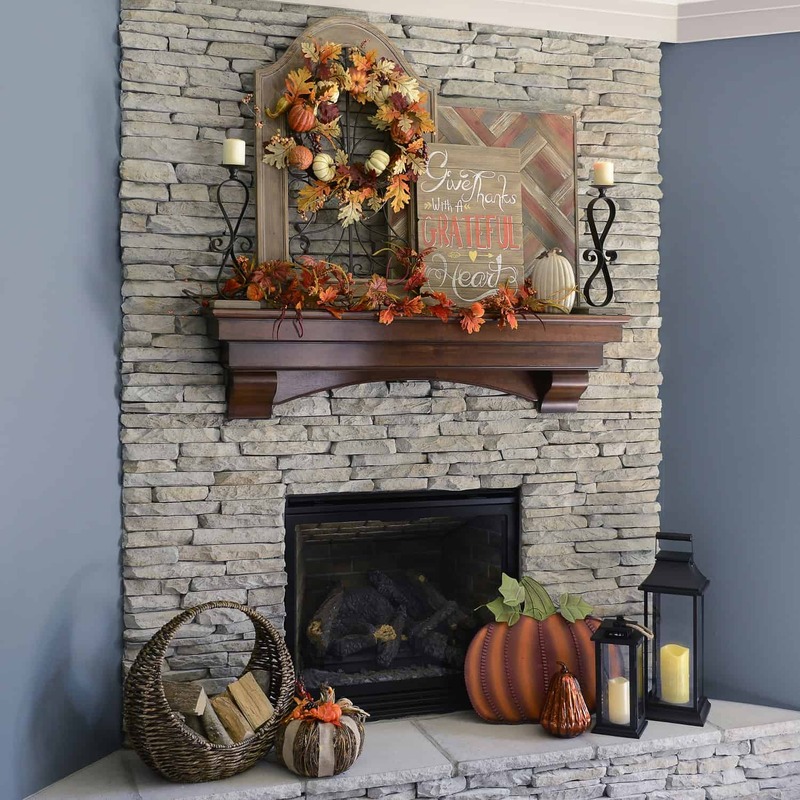 Is your mantel actually quite small so you need a piece that will let you show your fall spirit but without taking up a lot of space or involving a wide spread? In that case, we think you’d do better with something like this upcycled window frame chalkboard instead! 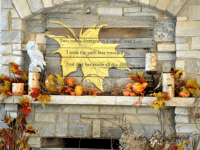 We love the way The Wood Grain Cottage wrote “Fall” on theirs to drive the autumn feeling home, but you could feasibly keep this piece up all year round and just change the art on it according to the season. 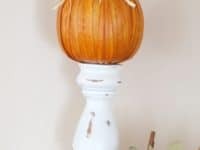 Has rustic chic always been your favourite kind of DIY décor, but you’re more into the homey burlap looking style than you are into vintage pieces and wares? In that case, here’s a totally cute burlap and paper alternative that’s quick and easy to make but that all your guests will love! 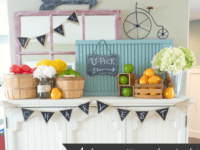 Girl in The Garage shows you how to make carefully stencilled letters and bunting flags from floral paper in fall colours, as well as how to string the bunting flags and create a burlap canvas background for your letters. 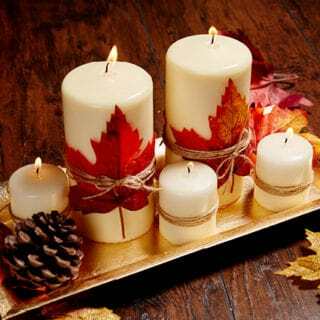 Are you a bit of a minimalist when it comes to décor but you still love to make your own pieces to display as the seasons change? Then we think you’d have a great time making yourself one of these framed boards featuring some blowing paper leaves! 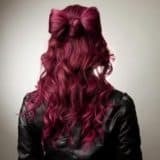 Not Just a Housewife walks you through the process and shows you how easy it’ll be to customize the design a little bit to your own preferences, depending on things like how many leaves you’d like to include. Were you a big fan of the idea of making yourself a fall bouquet but you’re the exception to the mainstream and you actually enjoy the look of the exposed branches on the trees around you more than you like all of the different leaves and their colours? Maybe you just already have a lot of leaf-heavy décor elsewhere and you’re not sure you really need any more. 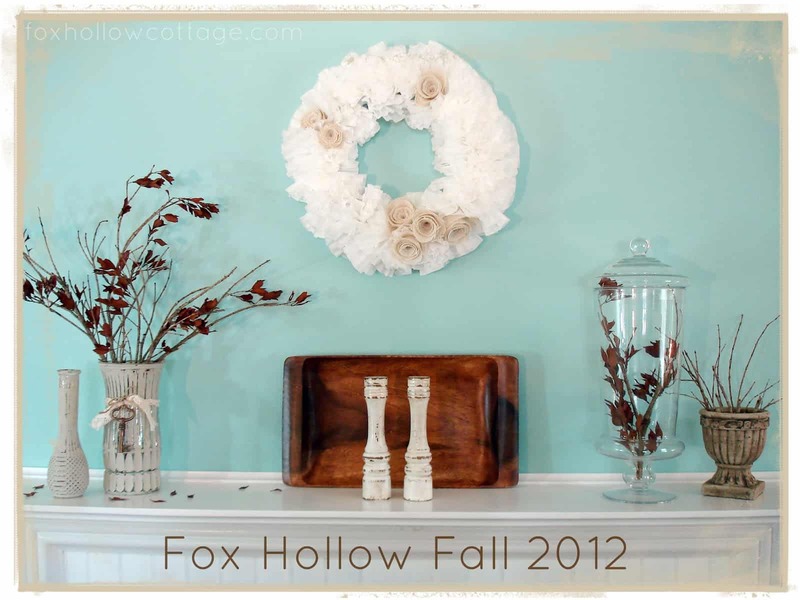 In that case, We definitely think you should check out these wilted branch “bouquets” from Fox Hollow Cottage! 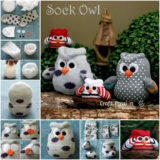 We especially love how theirs contrast with the white rose wreath they’ve hung above and in the centre of mantel. 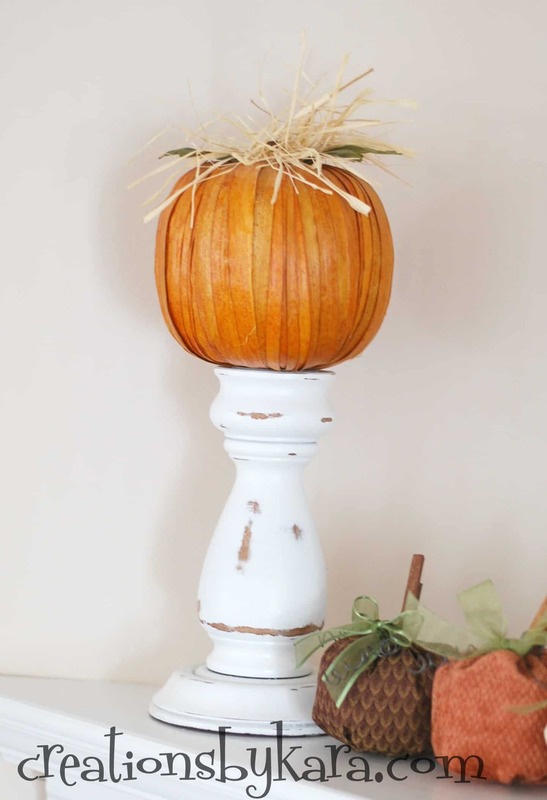 Do you have a few beautiful candle pedestals already sitting on your mantel that you love the look of but you’ve been trying to think of an easy way to make them more fall themed? In that case, we wonder if you might enjoy replacing the candles that usually sit there with some miniature DIY pumpkins instead! We’re particularly fond of the way Creations by Kara did it with these adorable wrapped pumpkins made from dried and painted reeds or cornstalk leaves. 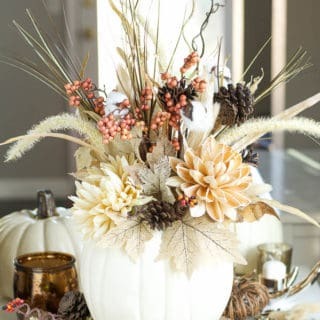 One of our very favourite parts of fall is the whole concept and cheerful look of harvest time! 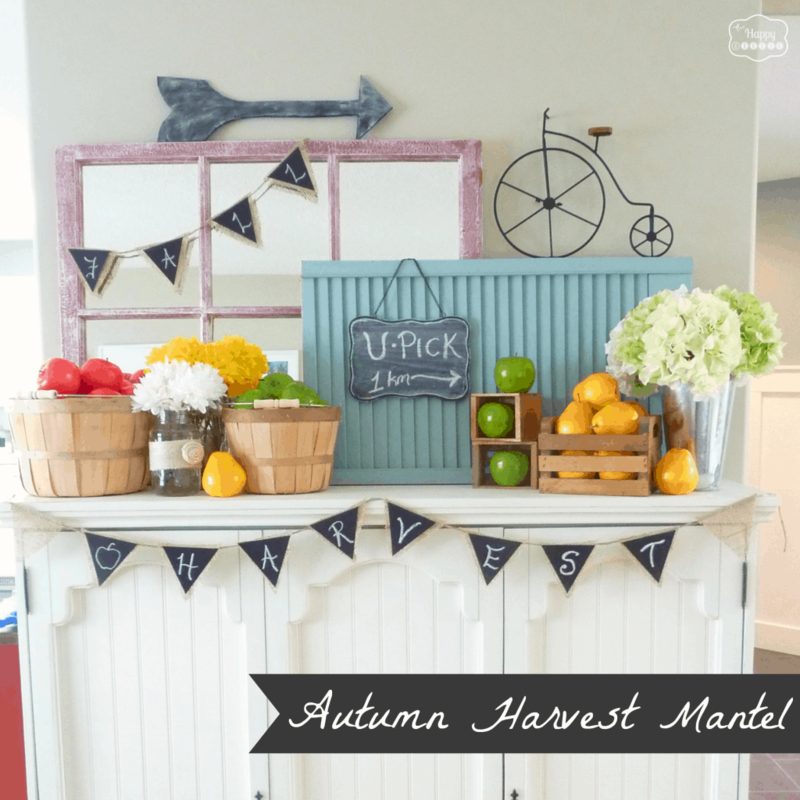 We love displays that make everywhere go look like we’re at an apple picking orchard, so it only makes sense that we completely fell for this fruit basket mantel scheme the moment we saw it. 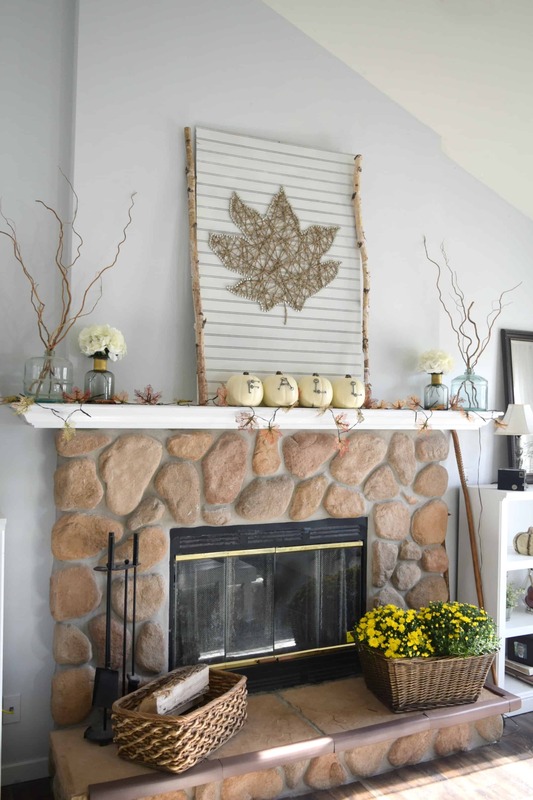 Take a look at 52 Mantels‘ guide to fall mantel décor to see how they used small baskets, faux fruit, and chalkboard paint to get this look. 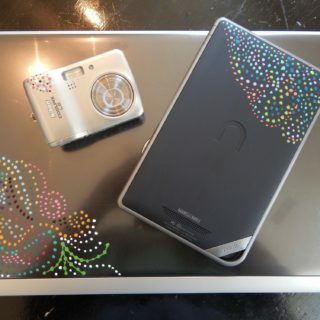 Have your best DIY and crafting skills always most lied in the fact that you’re a talented painter? 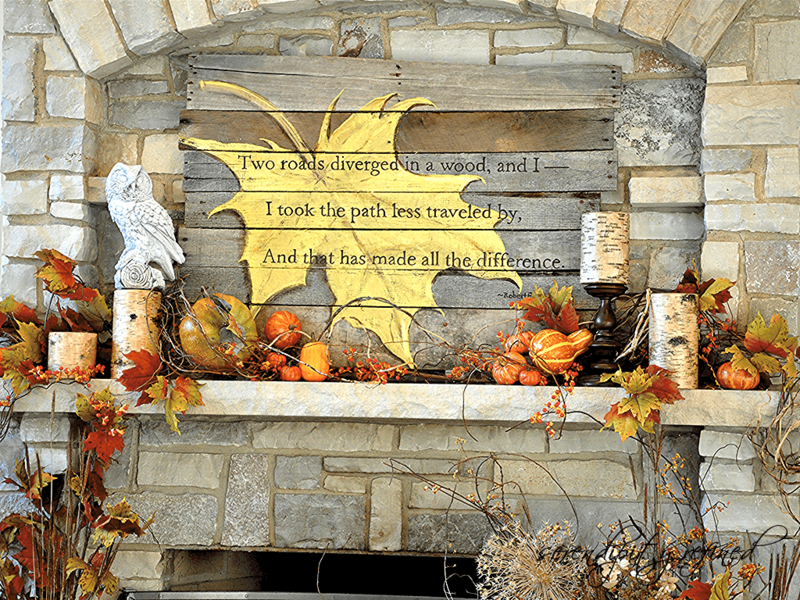 In that case, we think you might find some fall inspiration in the way Serendipity Refined hand painted a leaf and a fall appropriate quote on an upcycled wooden palette. 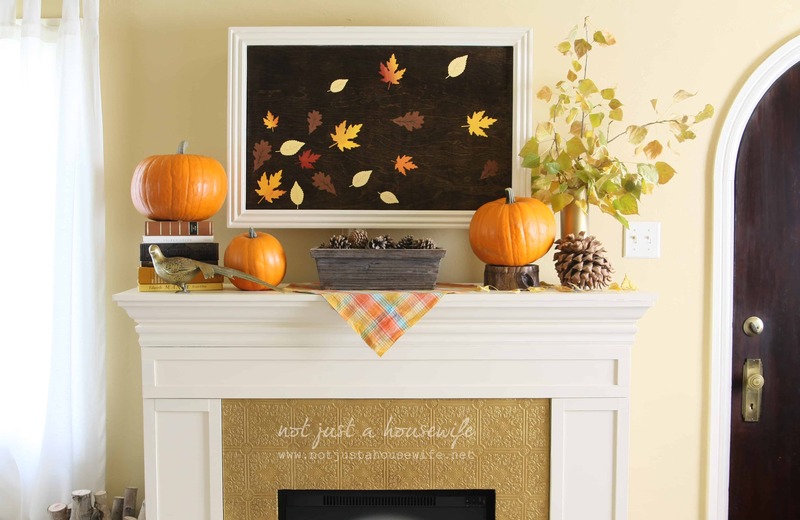 We love the way it displays beautifully detailed hand painting work but also totally contributes to a rustic fall décor scheme that’s clearly homemade. 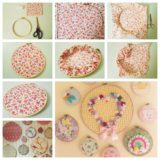 Are you an avid yarn crafter or perhaps have just been always interested in wrapped string crafts? In either case, we’ve definitely found the piece for you! 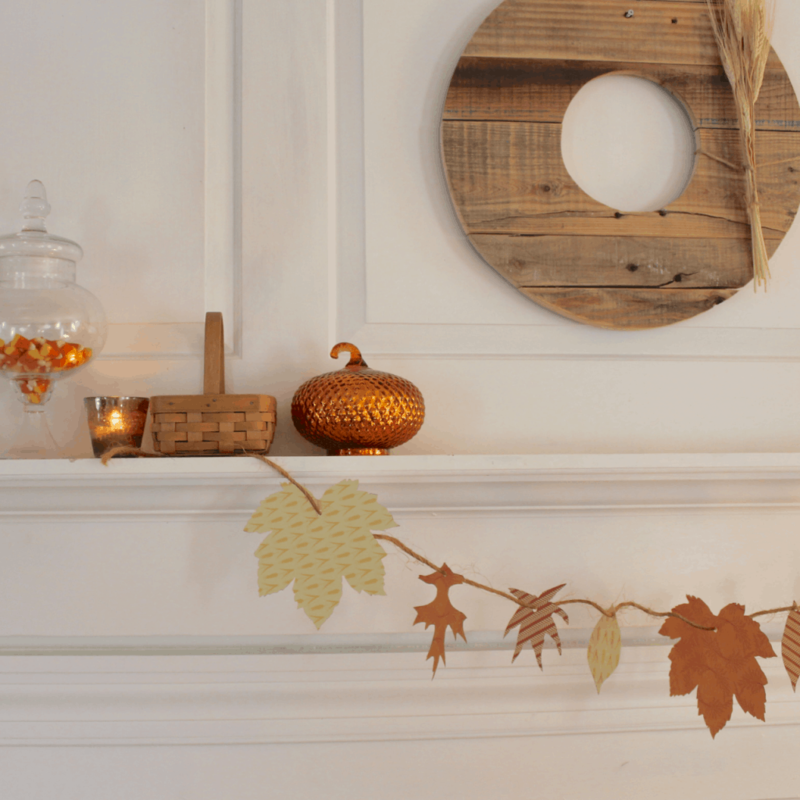 Our House Now A Home guides you through the surprisingly simple process of outlining a lovely fall leaf using tacks and then wrapping them with rustic looking hemp string until the leaf is filled in to look intricate, detailed, and very impressive. These Chic Stained Glass Flower Rings are Uber-Easy to Make!